It is not easy to find the elements that may define nowadays the 'German brand'. Some may say the speedy cars - but nowadays, there are many other nations that are producing efficient and famous car brands as well, other will probably mention the 'spirit of discipline'. It is not easy to acquiesce the list of qualities and features that may rally the big majority of voices. 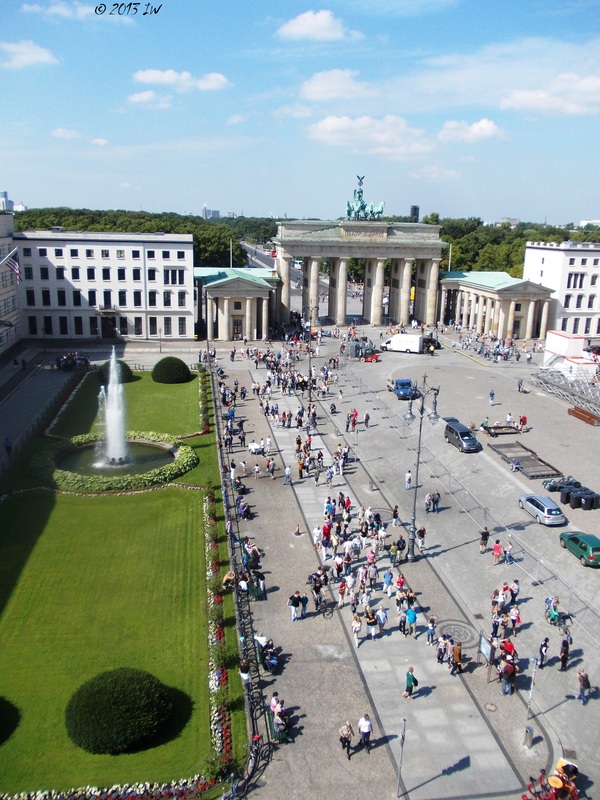 At least for the city of Berlin, Hotel Adlon Kempinski, situated close to the center of main important events held in Berlin, the Brandenburg Gate is a constant part of the story. The hotel was founded in 1907 by Lorenz Adlon, that improved her experience in the nascent tourist and hotel industry of the time working in Belgium or Mainz. His ambition to create a 'Luxushotel' for Berlin took real shape and shortly, Adlon Hotel was included on the priority maps of travels to Europe of royal heads and businessmen. The first and most distinguished guest was the Emperor Wilhelm II, whose main request was that no one set foot inside the hotel before him. Throughout his life, he constantly supported and, when necessary, helped Adlon financially. Almost 90 years after, the 1997 re-opening ceremonies were attended by the German president at the time, Roman Herzog. An unusual presence of Berlin head of state, usually reluctant to be part of official business events, but an open recognition that Adlon is more than a Berlin business, but part of the country brand. Partially destroyed during the war, and completely burned out after, the hotel was in the impossibility of a proper functioning during the Cold War and till 1997, it was only an episode of history. 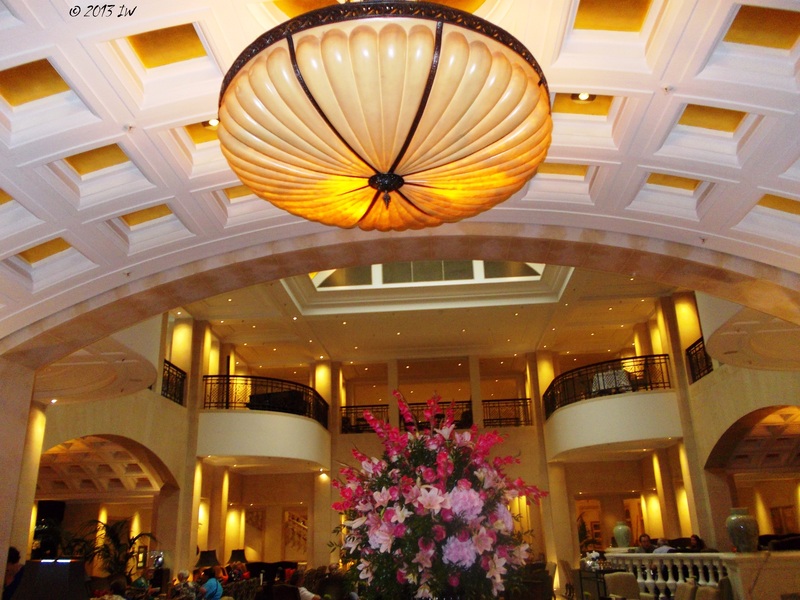 The new Adlon reflects the style of the original hotel keeping the same luxuriant style of the 1920s. 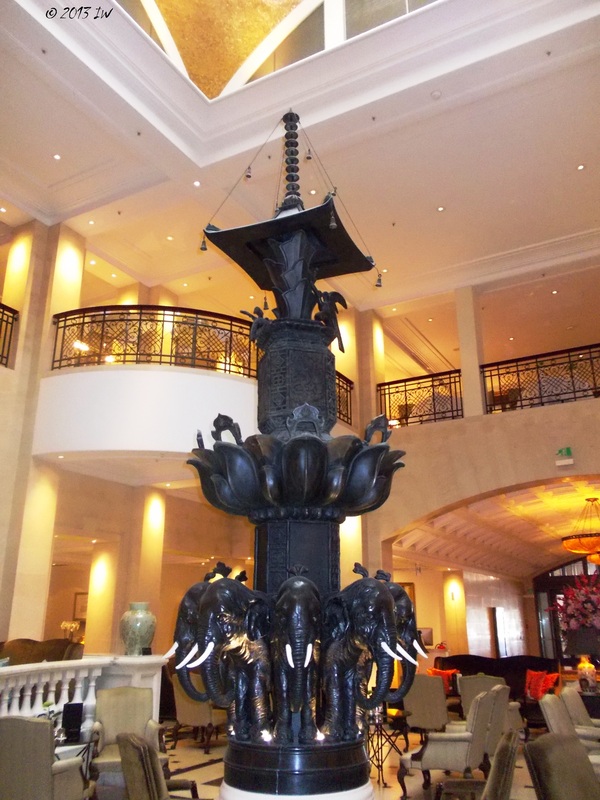 Most of the famous elements were reconstructed following the original models, among them, the Lalique lamps in the lobby and the black elephants, a gift from the Mahardscha of Patiala. 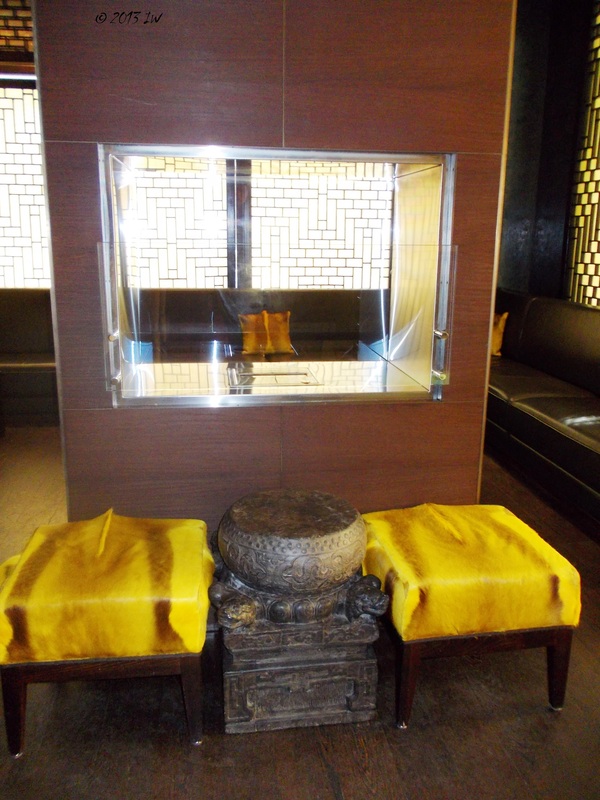 Tourists usually come in the lobby to take pictures or to have a coffee. The prices are luxury standards, and a breakfast can go till 29€. Each summer, the outside terrace selects a geographical area for inspiration. This year, the star is the Russian Caviar, a pleasant news for many of the regular guests. During the cold season, the chill out area moves to the winter garden, where many events, including regular cooking classes, are aimed to keep the guests safe from the effects of the depressive long evenings. From the lobby bar, I went to the 'Sra Bua by Tim Raue' restaurant, offering Asian fusion meals, in an ambiance of Cambodian museum. The harmony and peace is the feature of the spa oasis, where it is possible to organize bachelorette parties and other private events. Adlon Spa by Resense offers the classical beauty treatments and massage, using products by Dermalogica and Daniele de Winter. The wellness feeling can be kept longer if following the yoga courses by the Himalayan Yoga master Vijay Kumar Vyas, in the meditation room. For those looking to keep fit after so many meals at the restaurants, the gym area with the heated pool can help. The rooms offer an excellent mixture of luxury, quality design in the spirit of the 1920s, high-class services (the famous butler Dirk Ricardo Durner is ready to help the residents of the three presidential suites to enjoy the best of their stay in Berlin) and leisure. The presidents and royal heads visiting Adlon are busy persons and the facilities they usually need, among others mini offices and conference rooms are a proof of their busy schedule. But as long as they are away, they also have the possibility to get some distance from their regular problems. The presidents look outside the window at the always busy Brandenburg Gate and think about history. The princes and princesses may admire the inspired flower arrangements brought to them by florist master Mario Weidner, famous for knowing almost everything about the floral preferences of the influential guests. The businessmen can decide to take a walk around the area, maybe in the quiet Tierpark, detached of the daily deadlines and money transfers. 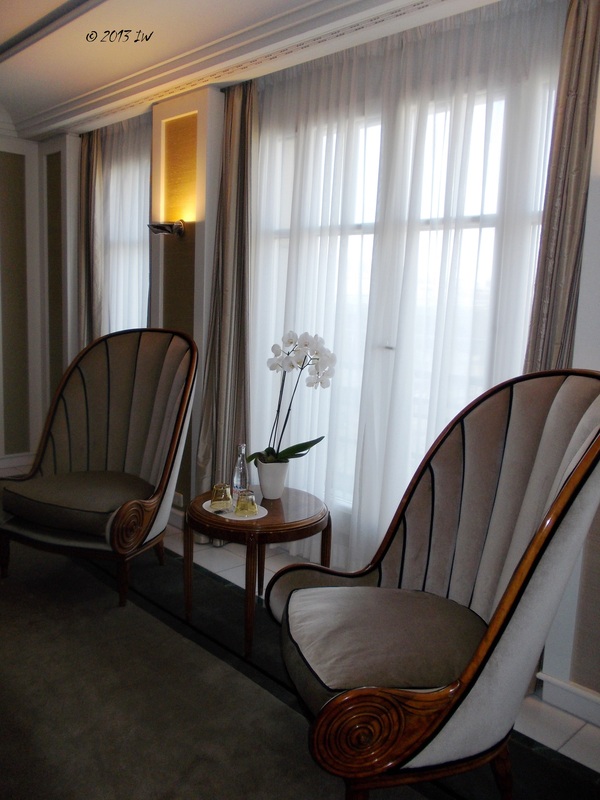 Adlon reminds to their guests that they are powerful and thus allowed to dream for more from time to time.